Gréta Mjöll Samúelsdóttir is a 26-year old singer and former striker for Iceland’s national women’s football team. Greta Mjöll participated in Söngvakeppnin, the Icelandic qualifiers for the Eurovision Song Contest 2014, performing the song Eftir eitt lag. She managed to proceed from the semi-finals to the finals. 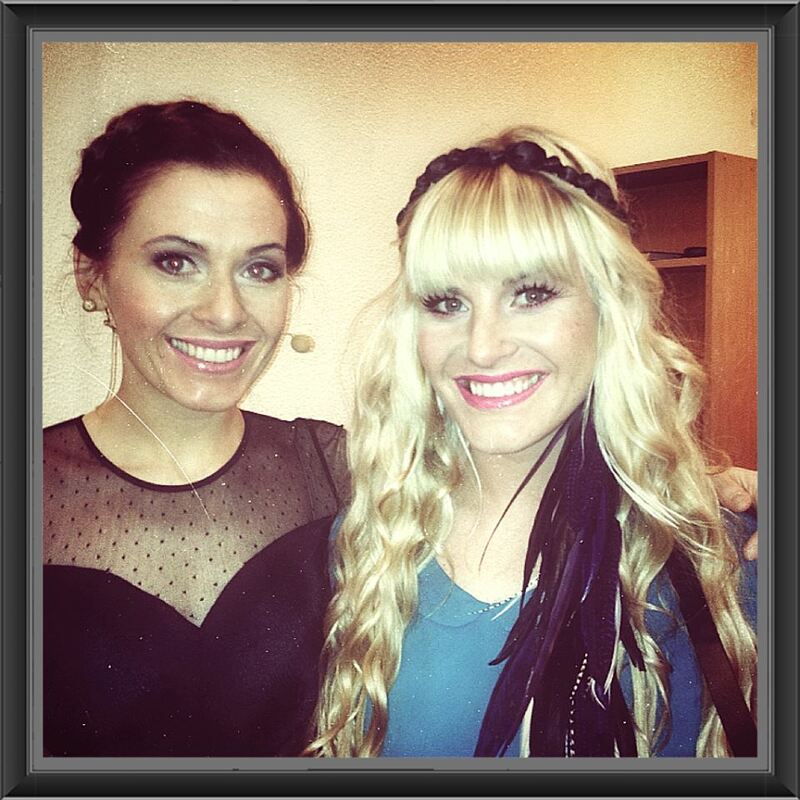 She has been singing since an early age and last year founded the duo SamSam, along with her sister Hófí. Their first performance was in a singing competition in Iceland between all the high schools in the country. Broadcasted live in the whole nation they sang Hofi´s song O Maria. The SamSam sisters have made music since they remember, and now write and sing their own music in both English and Icelandic. Upbeat acoustic pop songs with the sisters’ voices blending perfectly in the catchy choruses. They have only released three songs so far in their career, but today they released another one called Eiffel Tower. “It’s about not always fitting in the box and wanting just a sense of adventure!” says Greta Mjöll on her Facebook page. Their song House created some stir in the Icelandic charts last year. But we also really like the positive vibes on this one: Awesome. After their EP Lightbulb Universe (2008), the concept album A Long Time Listening (2010) and a tour abroad it’s soon time for Agent Fresco’s third album. The yet untitled new record is set to be released at the end of the summer. The pre-release single Dark Water came out a week ago and today it was premiere of the crisp video by Marino Thorlacius. Dark Water is a song we dare to call epic, in the word’s true sense. A powerful and bombastic rock anthem combined with a wonderfully intricate arrangement and melody. We specifically enjoy that short piano break before the last crescendo of the song; a polyrhythmic little masterpiece of it’s own. On top of that, singer Arnór Dan Arnarson stretches his world-class voice with amazing intensity – bordering to an operatic performance. We’re pretty sure that this will count as a classic Agent Fresco song in the future. Unnar Gisli Sigurmundsson, with the colorful stage name Júníus Meyvant, is a songwriter from Vestmanneyjar (the Westman Islands, south of Iceland). And he’s not only a musician, but also a talented artist. He used to play in the aggressive rock band Jack London, but has now embarked on a solo career. Sounds a little…exaggerated…pretentious? Well, listen and judge for yourself. We think it’s a hell of a pop song anyway, that shows a lot of promise. So please let us hear more from Júníus Meyvant. If not only to get an excuse to pronounce his beautiful name over and over again. Júníus. Meyvant. Try it, you´ll like it.